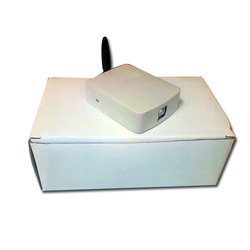 GSM Modem is a Fixed Cellular Terminal (FCT) tor data applications. It is a compact and portable terminal that can satisfy various data communication needs over GSM. It can be connected to a computer with the help of a standard RS-232C serial port. The GSM Modem offers features like Short Message Services (SMS), Data Services (sending and receiving data files), Fax Services and Web Browsing, Remote login and data file transfer are also supported. It is the perfect equipment for factory plants, resorts, dams and construction sites where wired connectivity is not available or not practical. The ready-to-use GSM Modem can be set up with minimal efforts. It finds its applications in IT companies, Banks and Financial Institutions, Logistic Companies, Service Providers, Remote Project Sites, Professionals, and such other business establishments. Looking for GSM Modem ?